At J Wilson Enterprises Slate Roofing, we hold ourselves to the highest standard in the slate roofing industry and pride ourselves on our level of craftsmanship, quality of work, and commitment of our employees. 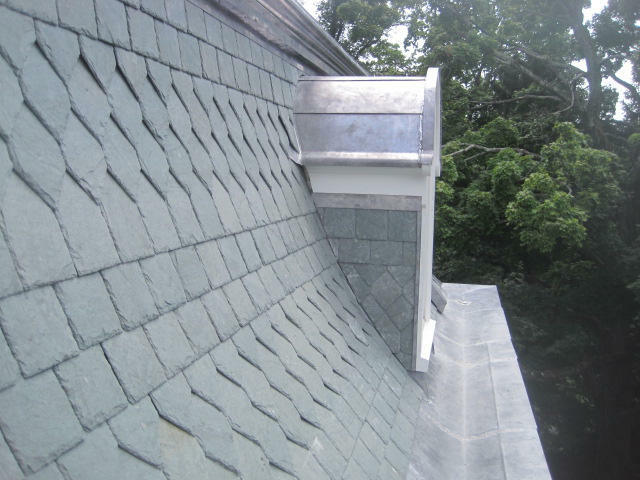 We excel in providing our valued customers professional slate roofing that will last longer and look better than any other roofing material in Pennsylvania and New Jersey. Slate is the material of choice on roofs with architects for it's unsurpassed beauty, fire proofing, and longevity. Slate is both natural and durable and Wilson Slate uses the best materials available when installing this ideal roofing medium. All of our craftsmen are highly trained and skilled in the aspects of slate installation, metal work, and carpentry. Our customers attest to our skills as an experienced and professional contractor. We have been making clients in the Lehigh Valley, Poconos, and New Jersey happy for over 30 years.